Almost half of the UK population are walking a tightrope of debt, just a step away from losing their footing and falling behind on their repayments. According to a new survey by debt management company PayPlan, 41 per cent of people are in debt and playing a dangerous juggling act to try and balance their finances. Respondents are dedicating hundreds of pounds a month to debt repayments, spending a third of their disposable income to try and stay in control but living with the fear that bills are creeping up at a faster rate than wages. This situation is leaving many people exposed, feeling unable to share their money worries with friends and family and struggling to carry on with day-to-day life. John Fairhurst, managing director at PayPlan said: “These results highlight the increasing difficulty many people face when trying to juggle their debt repayments. “People are often just one step away from dropping all the balls they have dangerously balanced. If they were to find themselves having to pay an unexpected bill, something would have to be sacrificed to accommodate this, leaving them with even more problems. 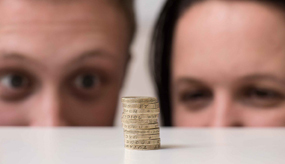 The PayPlan survey questioned 2000 people across the UK and revealed that over half of the respondents felt worse off than they did five years ago with average debts reaching just over £2,500. 77 per cent feel the cost of living will increase at a higher rate than their wages over the next 12 months. The hike in energy bills has caused people the most financial difficulty in the last five years, followed by petrol and groceries. A quarter of people who responded to the survey have struggled to afford food. John went on to explain that there is help out there: “We understand that people have been suffering from the cost of living crisis in Britain and the role debt plays in their everyday life. Helping people to better manage their finances is one of PayPlan’s fundamental principles. Since 1992, the company has successfully helped more than a million people deal with their debt problems. Unlike other debt management companies, its services are completely free to those struggling with their finances.